Wandering the streets of Conroe, Texas, shortly after Hurricane Harvey, Sylvia was in terrible pain. 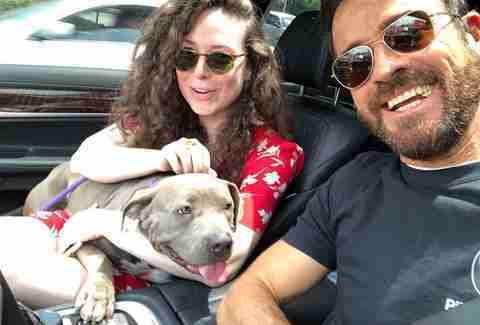 If only the little pit bull could’ve known that one day a famous actor would bring her home. Passersby recoiled at her appearance, never seeing the gentle soul just behind the rough exterior. As a shy dog with medical issues, the odds were already stacked against her when she entered the Montgomery County Animal Shelter. 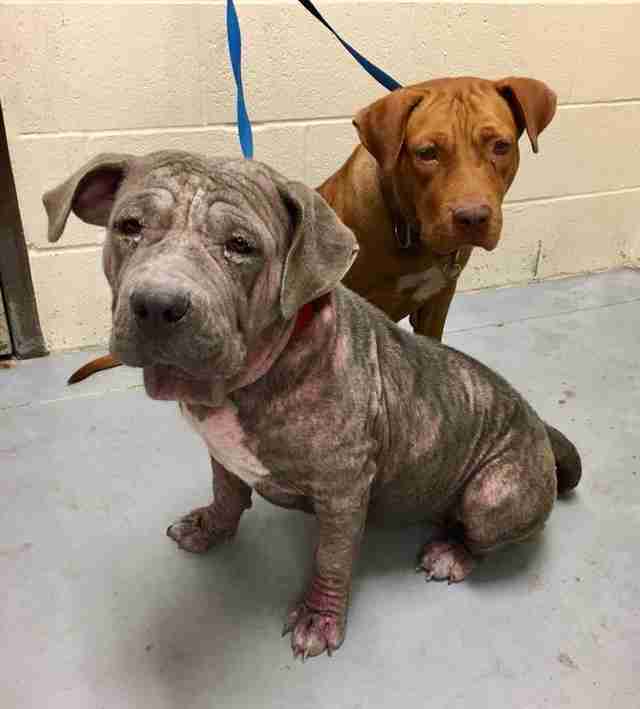 The young pit bull mix’s red skin peeked through her thinning coat, and her eyes were nearly crusted shut from demodex mange. Trapped in a crowded, noisy holding area, she began shutting down. With time running out, a compassionate shelter worker reached out to A Chance to Bloom Dog Rescue about her difficult situation. Arriving at the rescue, Sylvia was wary of all the new people and the strange environment. It was clear that life as a stray had made her hesitant to trust, but it hadn’t broken her sweet nature. 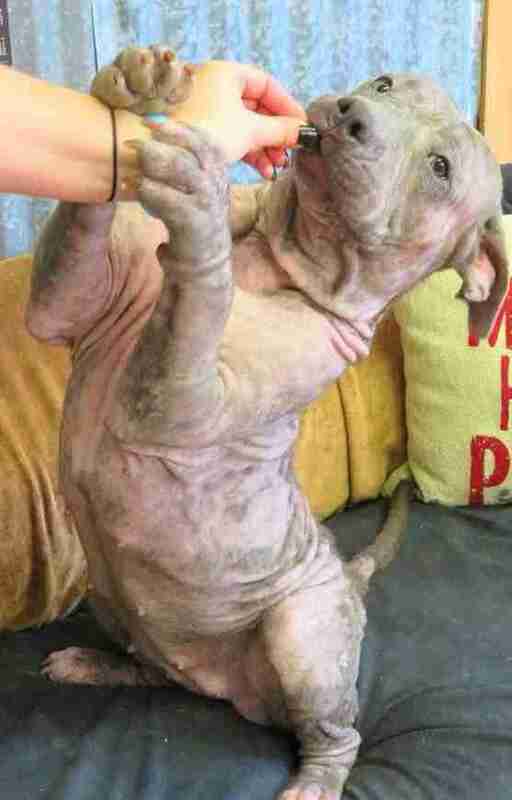 As her skin healed, Sylvia began to bond with her rescuers, and even show off a little. It seemed there was no challenge the dog couldn’t master. She flew through her obedience classes and loved car rides and walks — and her happy disposition. Though Sylvia had completely transformed since arriving at the rescue in November, there was still one thing she didn’t have — a home. So Russell decided to post about her on Petfinder to give her a wider audience. 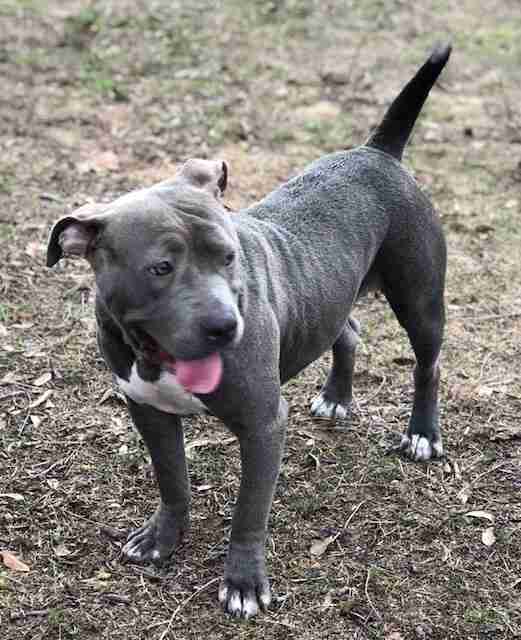 Within an hour, Russell received a call from the president of Austin Pets Alive, saying there was a “VIP adopter” interested in one of the rescue's dogs. Russell, who assumed it would be a local radio personality, was shocked to learn the truth. 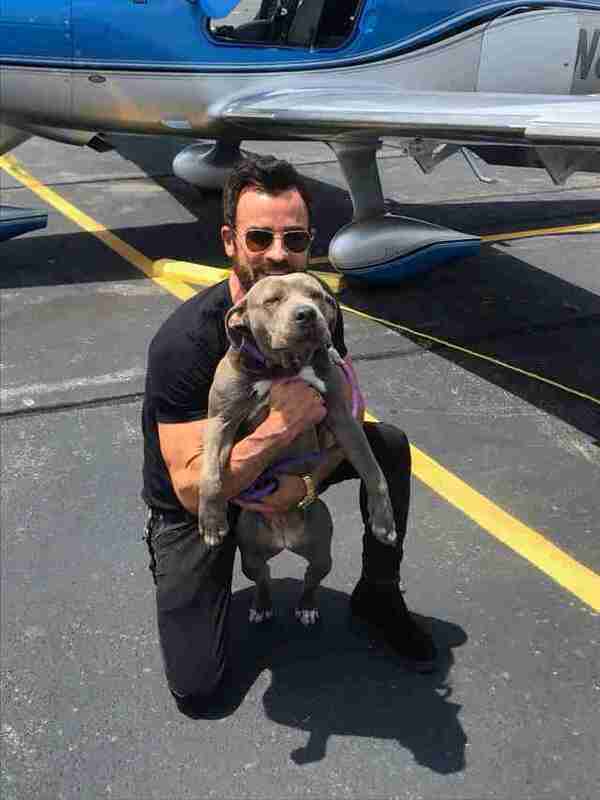 Not only had the potential adopter come all the way from New York — the mysterious man was the actor and bully breed advocate Justin Theroux. 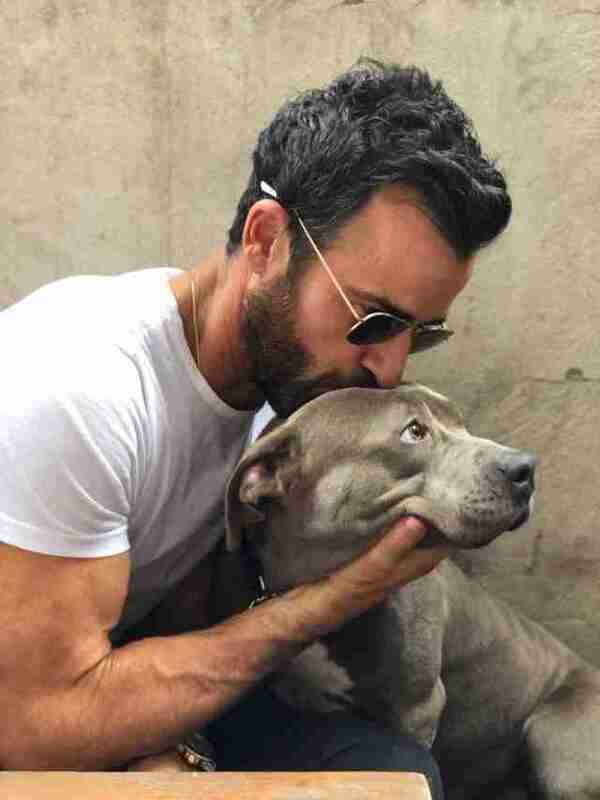 Theroux, who was in Austin at the time, drove nearly three hours to see the dog in person, and from the very first meeting, both knew it was meant to be. Theroux changed Sylvia’s name to Kuma, meaning “bear” in Japanese, and made plans to adopt her. “It was like they had always been together,” Russell added. Months passed, and Kuma was finally ready to travel to her forever home. Since certain commercial airlines restrict bully breeds on flights, getting Kuma across the country became difficult. That’s when Pilots N Paws, a nonprofit organization that coordinates volunteer pilots and rescue pets in need of transportation, stepped up to help arrange Kuma’s journey to the East Coast. After months of waiting, Theroux drove to meet Kuma at the airport. 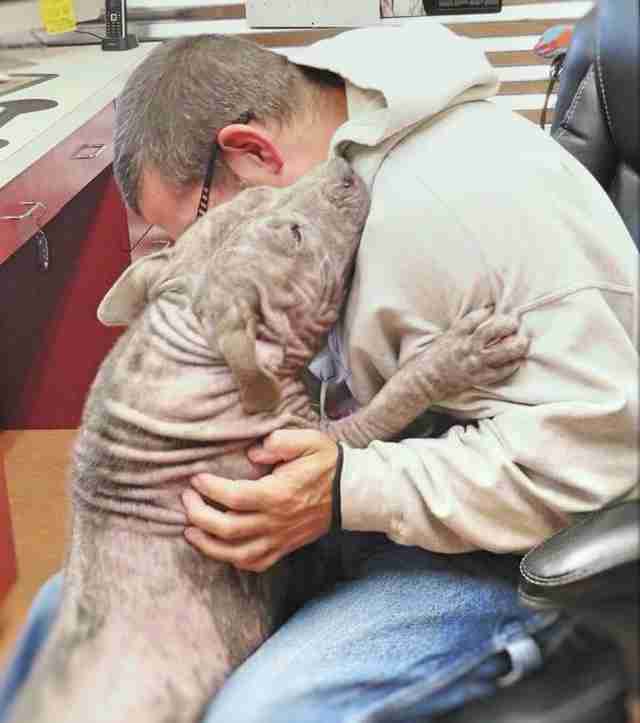 Stepping off the flight, the dog who was always so eager to give hugs found herself wrapped in her dad’s arms. Now living in a new city with a loving family, Kuma got her well-deserved Hollywood ending. If you would like to help dogs like Kuma find their forever homes, you can make a donation to A Chance To Bloom Dog Rescue.